Welcome to our second FINOS newsletter since our April launch. This is written to keep FINOS members, program contributors, project consumers, and the wider financial services industry updated on news and events in our foundation and among the fintech open source community. It’s been just a little over a month since we launched FINOS, the Fintech Open Source Foundation. We are seeing tremendous interest in our foundation and mission from a wide range of key financial services industry participants. Perhaps more importantly we’re seeing an accelerating rate of first contributions from developers eager to partake in the open innovation process. This should be no surprise as Open Source has delivered pretty much every piece of disruptive innovation over the last two decades, as I discussed in a recent Banking the future podcast. Still it is extremely exciting to see a historically siloed industry moving fast towards building a better financial technology landscape. Together. But let not us be fooled, this is merely the beginning: financial services has still a long way to go to empower developers to deliver amazing technology by leveraging open collaboration across the firewall. So this is why the month of June will be focused on empowering financial services developers to join our community. We will help your organization to effectively participate and contribute to open source through our Open Source Readiness Program, which will be formally announced later in the month together with our Financial Developer Experience Program. Lot's in store so stay tuned: Get engaged with one of our programs, don’t miss our upcoming June meetup, and definitely join us at our Members Meeting if you are a foundation member. Financial developers of the world, unite! May 10 - FINOS announced Brad Levy of IHS Markit and Alejandra Villagra of Citi as chair and vice chair, respectively, of the FINOS board of directors. Brad and Alejandra will lead the existing board of 20 senior executives from a spectrum of leading financial services firms, information services companies, technology providers and fintech companies. May 10 - Videos from the April 24 FINOS launch event are released as part of a highlight reel summary. More than 120 attended the launch event held at the NASDAQ in Times Square. 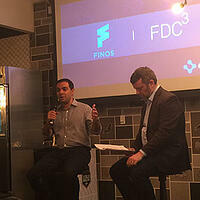 May 15 - OpenFin contribution of the FDC3 program into the Foundation’s open source governance framework announced. The contribution will support the long-term growth and adoption of the FDC3 standards by the fintech community. See our Executive Director’s Gab slide deck introducing the contribution at FINJS. May 16 - Symphony hosted its first Developer Meetup at Google New York. Topics included Machine Learning and building intelligent bots. 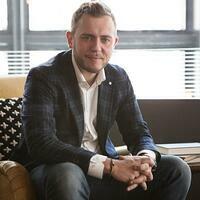 Future meetups were announced taking place in New York, London and Paris. May 22 - The team at @rebankpodcast released the podcast of its conversation with FINOS Executive Director Gab Columbro. The topic is “Bringing Open Source to Financial Services with FINOS”. May 23 - The Open Source in Fintech Event Series continued with a sold out meetup featuring OpenFin CEO Mazy Dar. More than 150 registered to hear how and why OpenFin, a leading technology provider for the financial services industry and member of the FINOS Foundation, recently committed the FDC3 program in FINOS’ open source governance framework. June is shaping up to be another busy month for FINOS. We intend to announce several initiatives and programs focused on improving the experience and toolchain for fintech developers. These efforts are especially important for open source developers in large institutions where ready access to common open source tools may be limited or blocked. June 19 - Symphony Communication Services LLC is hosting a webinar - Enterprise End-To-End Encryption - presented by Symphony's Chief Security Office, Lawrence Miller. The webinar will start June 19th at 10am. June 26 - Members Meeting. The first of the Foundation’s two member meetings will take place in NYC. This members-only event is a unique opportunity for members to connect with one another and engage more deeply in the Foundation’s work. Become a member today and attend this event. 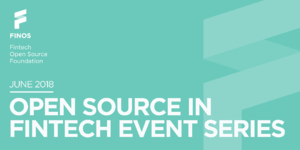 June 27 - Open Source in Fintech Event Series, June meetup. Join us at Silicon Valley Bank, 387 Park Avenue South (between 27th and 28th streets), 2nd Floor, New York, NY 10016, as we take a look at the tooling, processes, and policies to help finserv organizations further adopt open source, and in turn, provide developers what they need to contribute to open source projects. Financial Objects - Driving adoption of new and existing Financial Object Standards across the Financial Services Industry, by bringing together the creators of Financial Objects with the users of Financial Objects. Plexus Interop - Defining an open standard for desktop application interoperability and providing a container-agnostic reference implementation of this standard. In addition, the previous restriction on working group participation has been removed, so each program is now easier to contribute to. For more information visit the New Programs blog post or learn more how these programs fit into the overall FINOS plan. To learn how to contribute visit the wiki here. Below is a sampling of articles across the web that our team has found interesting. This is not an endorsement of the ideas in these articles, but we found them thought provoking enough to share with our readership. Check out the links below to learn how to participate and you have any thoughts or ideas, don’t hesitate to contact the Foundation team or get in touch with our Community.